My introduction to watermelon salad was not a fortuitous one. I had gone to my then boyfriend/now husband’s grandparents house for dinner. His grandmother (knowing of my love for melon) served me a bowl of crisp watermelon cubes smothered in stinky white Bulgarian cheese. Let me tell you, giving birth was nothing compared to eating my way through that lovingly prepared salad. I just might have scooped half the contents of my bowl onto my boyfriend’s plate when her back was turned. Yup I did, I confess. 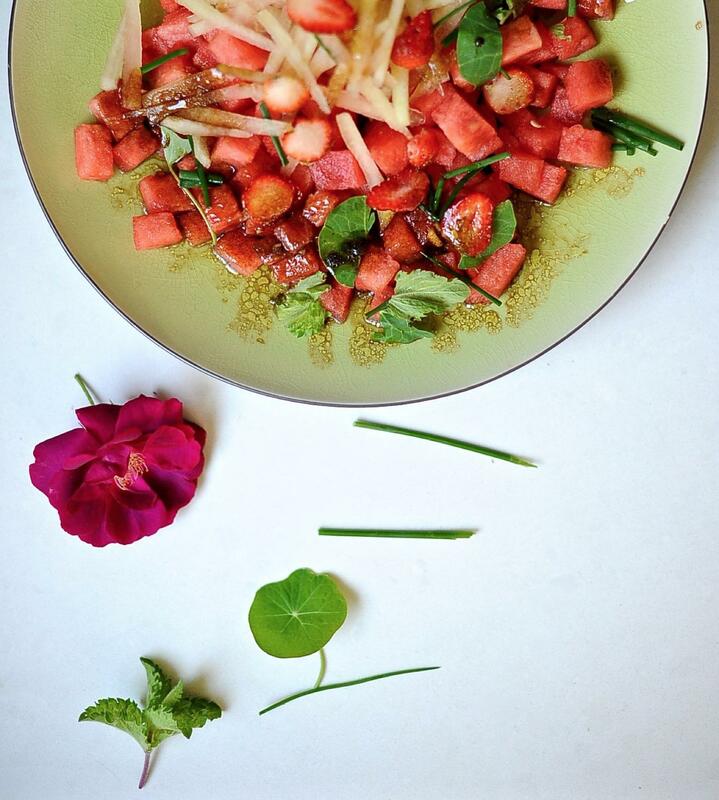 It has taken me 25 years but I am over it and ready to embrace watermelon salad with open arms. 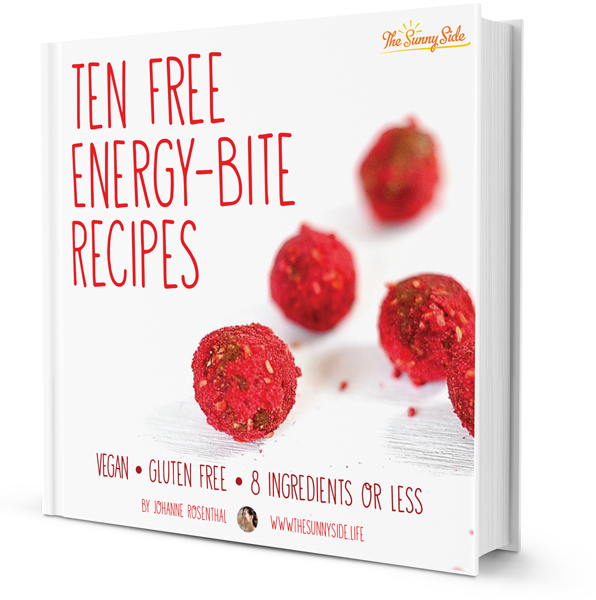 Perfect for those days when it is too hot to cook. 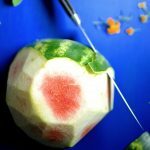 Begin by cubing up half a watermelon. 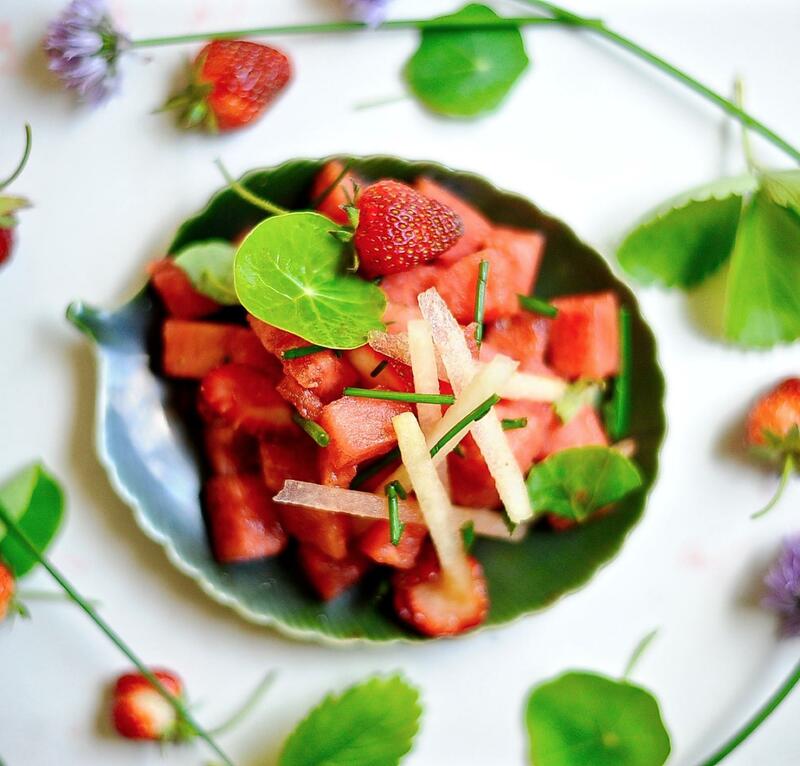 Toss it in a bowl with fresh herbs (I used mint and nasturtium), slice strawberries, and chop chives. Whisk up your vinaigrette and you are ready to eat. Crunchy, sweet, acidic, minty, peppery, addictive. Yesterday I noticed the first garnet strawberry winking at me from beneath dark green leaves. Like columbines they face downwards dipping and waving coquettishly in the wind. My boy, when he was small and unbearably sweet, begged me to plant strawberries in the garden. Plant them we did on a little hill beneath the plum tree. A forager at heart, his bare footprints led across the soft brown earth of the garden, pausing here at the gooseberry bush and there beneath the apricot tree. Standing on tip-toe he held down branches and plucked, with his small, hands juicy purple plums; filling his t-shirt to bring us the bounty of the garden. The boy is now taller than an oak tree but as sweet as blackberries in July. He lives where date palms grow and dessert sand fills his shoes. There is talk that he will return in fall. After the strawberries, tiny and fragrant, come a constellation of raspberries, then come the apricots, and then the peaches glowing like lanterns in their dark branches, currants both black and red, gooseberries and finally purple grapes musky and mysterious. It is the song of summer. The overture has been played and when we reach the end notes of glorious summer’s song, just before the apples, my boy will arrive. 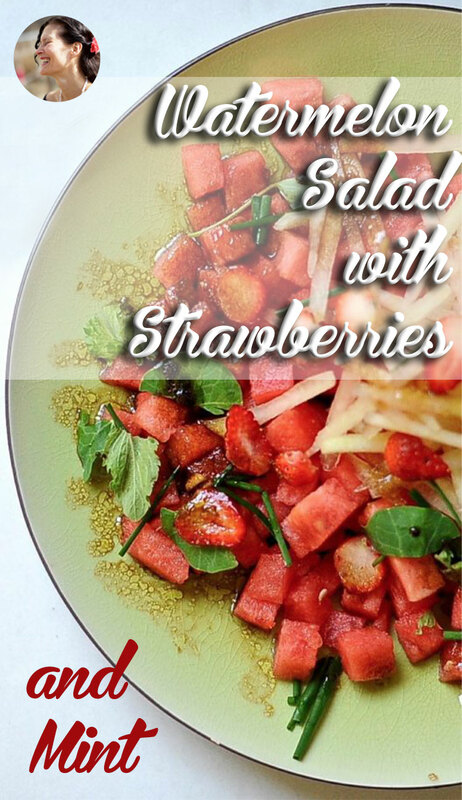 A crunchy refreshing salad of diced fresh watermelon, torn mint, garlicky chives, and sweet strawberries lightly dressed in a balsamic vinaigrette. I use both the peel and the ruby flesh of the melon. Between the dark green outer skin and inner red flesh there is a lovely layer of light green that is reminiscent of cucumber. Place all of the vinaigrette ingredients in a bowl and whisk until emulsified. Alternately place then in a jar with a secure lid and shake till emulsified. Half your watermelon setting aside the half you are not using. 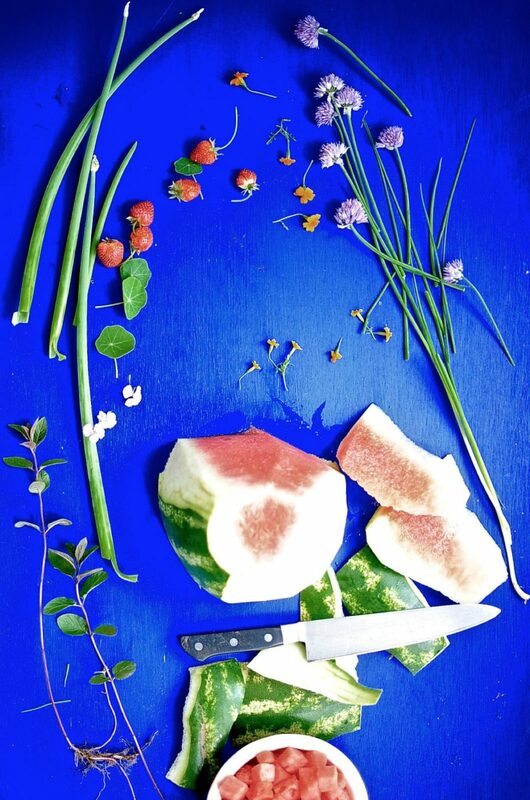 Place the 1/2 watermelon cut side down on a cutting board. With a sharp knife slice off the top of the melon. (Note in photos you can see what I mean. Now slicing downward remove the thin dark green outermost layer of skin. After you have removed the dark outer skin, slice off slabs of the light green flesh of the melon. Julianne about a cup of these. Cube up the red part of the melon to a pleasing 1inch dice. Chop up or tear up your herbs. Chop the chives to 1/2 inch pieces. 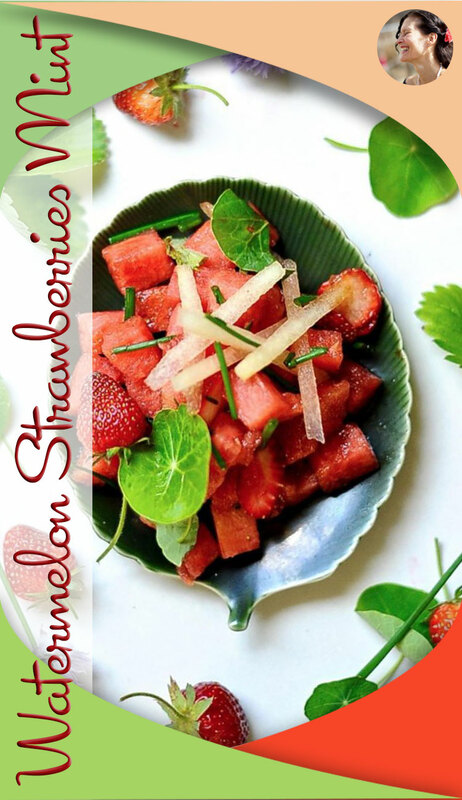 In a large salad bowl place; watermelon, julienned rind, sliced strawberries, herbs and chives. Serve the vinaigrette alongside the salad so people can dress their salad to their taste. Hello Johanne, it’s Harriet and we met at the eye doctors office. Is your boy in the Holy Land? Will stay in touch, yes? Yes the boy in on Kibbutz in the Negev. It’s finally summer here where I am! As soon as watermelons appear in the shops I’m going to make this salad. Mark Twain wrote that watermelon “is chief of this world’s luxuries, king by grace of God over all the fruits of the earth. When one has tasted it, he knows what the angels eat. 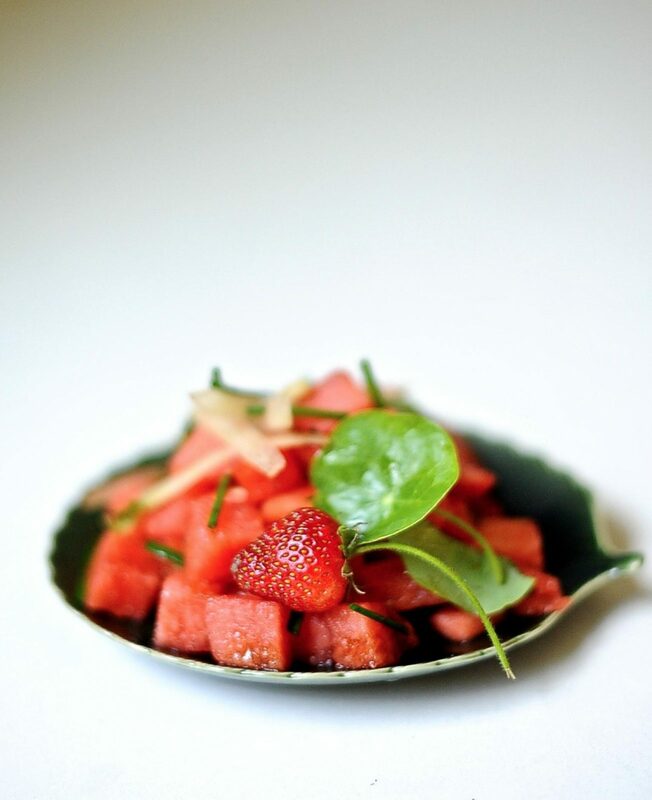 It was not a Southern watermelon that Eve took: we know it because she repented.” That’s from the story “Pudd’nhead Wilson”, in which a mother’s love for her son makes her take a daring gambit – and the tale unfolds from this. 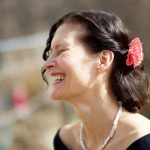 I’ve done six things on that list from “Dandelion Wine.” What about you? . Mark Twain is amazing. You have me beat by miles and miles in the Dandelion Wine list. I’ve done maybe 4 if I stretch the beautiful woman reference to mean You. But aside from that I’ve never been shot at although chased with a knife yes! Never fell off a cliff although almost fell down a cistern, thanks for pulling me out. Been to Port Said, and Istanbul.The rest not even close. My beautiful women loved are you and our mother. Not a stretch! These photos are getting more and more zen . Beautiful !